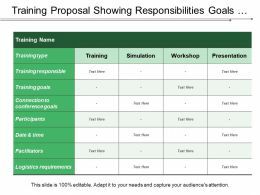 Presenting this set of slides with name - Training Proposal Icons Ppt Slide. This is a four stage process. 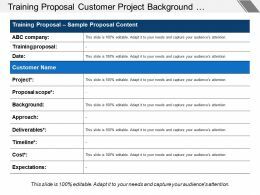 The stages in this process are Training Proposal, Training Plan, Training Approach. 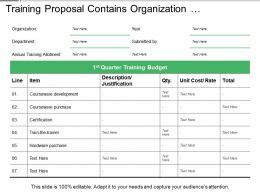 Presenting this set of slides with name - Training Proposal Contains Organization Department Description Items Table. This is a three stage process. 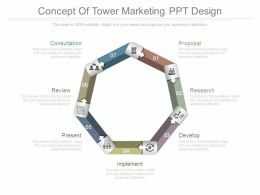 The stages in this process are Training Proposal, Training Plan, Training Approach. 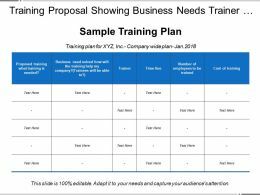 Presenting this set of slides with name - Training Proposal Showing Business Needs Trainer Time Line And Number Of Employees. This is a six stage process. 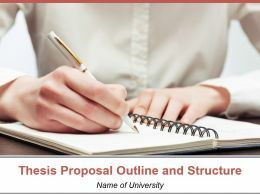 The stages in this process are Training Proposal, Training Plan, Training Approach. 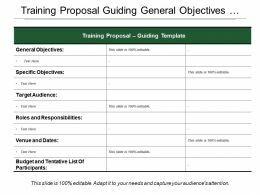 Presenting this set of slides with name - Training Proposal Guiding General Objectives Target Roles And Responsibilities. This is a two stage process. 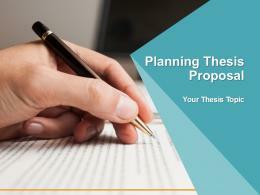 The stages in this process are Training Proposal, Training Plan, Training Approach. …for trade and economics sample of ppt. 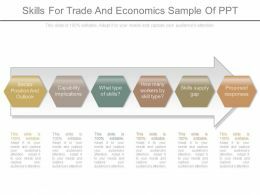 This is a skills for trade and economics sample of ppt. This is a six stage process. 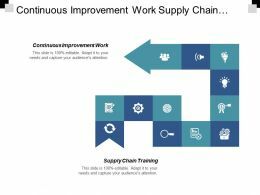 The stages in this process are sector position and outlook, capability implications, what type of skills, how many workers by skill type, skills supply gap, proposed responses. 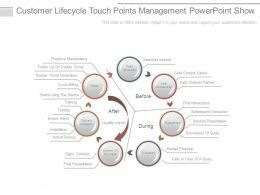 …1 powerpoint ideas. 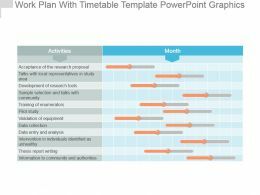 This is a work plan with timetable template 1 powerpoint ideas. This is a twelve stage process. The stages in this process are acceptance of the research proposal, talks with local representatives in study area, development of research tools, training of enumerators, pilot study. Presenting this set of slides with name - Training Proposal Customer Project Background Approach Timeline And Expectations. This is a two stage process. 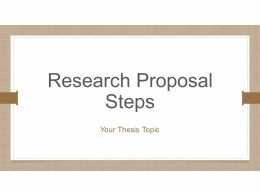 The stages in this process are Training Proposal, Training Plan, Training Approach. 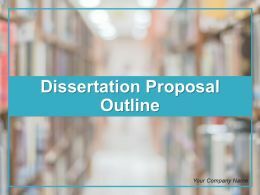 Presenting this set of slides with name - Training Proposal Showing Responsibilities Goals Participants Logistics Requirement. This is a four stage process. 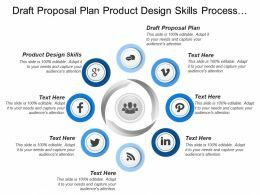 The stages in this process are Training Proposal, Training Plan, Training Approach. …powerpoint graphics. This is a twelve stage process. The stages in this process are acceptance of the research proposal, talks with local representatives in study area, development of research tools, sample selection and talks with community, training of enumerators, training of enumerators. …The content can be modified completely. Their compatibility with Google make them even more flexible. They do not require any training to operate them. 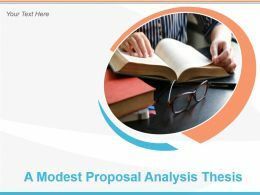 They propose the message in a clear and simple manner.The stages in this process are product, prospect, company, relation ship, communication. 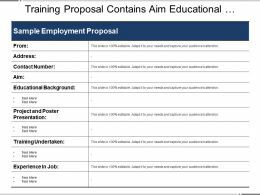 Presenting this set of slides with name - Training Proposal Contains Aim Educational Background Projects And Training Undertaken. This is a two stage process. 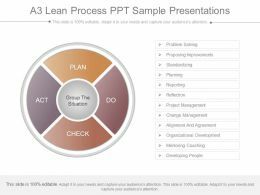 The stages in this process are Training Proposal, Training Plan, Training Approach. 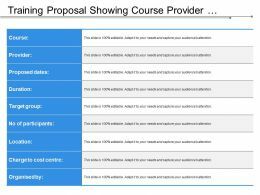 Presenting this set of slides with name - Training Proposal Showing Course Provider Durations Target Group Location. This is a nine stage process. 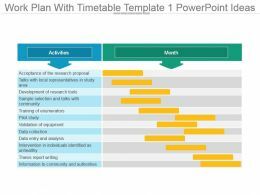 The stages in this process are Training Proposal, Training Plan, Training Approach. 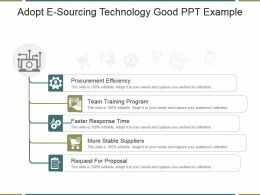 Presenting adopt e sourcing technology good ppt example. This is a adopt e sourcing technology good ppt example. This is a five stage process. 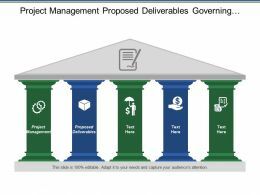 The stages in this process are procurement efficiency, team training program, faster response time, more stable suppliers, request for proposal. 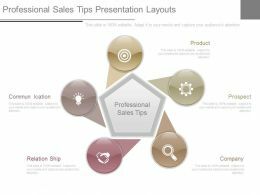 …The presentation slide supports striking, well finished and skilled look with good color scheme. Presentation icon supports changing the color, size and orientation of any icon to your liking.The stages in this process are consultation, review, present, implement, develop, research, proposal.